Who needs a free game? Throughout the last couple of months Nintendo ran the excellent free game with Mario Kart 8 promotion, with Europeans choosing between 10 games and four being available in North America. It was a great deal for those either buying the game or the Mario Kart 8 hardware bundle. That offer expired on 31st July, however, an inevitable moment that nevertheless brings an end to what was an exceptional deal. It seems that major UK supermarket chain Sainsbury's is keen to maintain interest in the MK8 system, however, as it's cut its retail price by £40. You can see the offer on this product page, with the system reduced to £209.99, down £40 from its recommended price. During the period of the free game offer there were frequent deals at different retailers in the UK — many typically offered the bundle for around £230, though there was a brief and hugely popular offer at £199 at Tesco. Taking the typical rate from before 31st July, however, this is still a saving of around £20-£30 over the market price. It makes sense that, with the free game now a thing of the past, retailers may push the system's price down a little to retain its sense of 'good value'; whether Nintendo will support this by reducing the wholesale rate again this year, or whether other retailers will mimic this sort of drop regardless, will be interesting to see. Does this sort of deal tempt you, and what do you see as the 'sweet-spot' price for Wii U systems to start flying off the shelves? Perhaps £199 in the UK, around $229.99 in the US? Perhaps less than that? Let us know what you think. Personally, I'd find it very hard to pay a price if I knew it had been available cheaper previously. You'd be a bit gutted paying £210 without the free game offer when it was previously £199 with a free game. I wanted the basic console and they'd been going for £120 with Disney Infinity so I was holding off until something that good came up again. In the end I paid £190 for a basic pack that came with Nintendoland, Wii Party U, Just Dance 2014 and two remotes. Ended up selling the 3 games and 2 remotes for £110! £80 for a white Wii U! A price drop to $229 would be a good price point for the WiiU . I think once the Wii U drops to the Wii launch price of £179.99 it will take off. 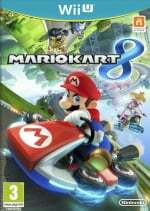 $329AUD would be the right price for MK8 bundle. Currently at $419-$429AUD, cheapest sale price was $379AUD. Right now, a bundle package under £200 represents a good deal, and which any serious potential customer shouldn't complain about. That being said, the Wii U will always need to be around 30% less expensive than the competition. Not because of any technical differences, but because any potential customer sitting on the fence of their next gaming console would be looking at value for money as one of their main criteria. @THENAMESNORM - Any comparisons to the Wii launch price is not a true reflection of what the Wii U should be priced at. Eight years is a very time in the world of gaming and finance. The world has changed dramatically and we live in different times. The price for the Wii U should be based on the economies right now. Wow that's an amazing deal. Wish I didn't pay £350 for mine at launch as I've barely used it! @CaptainToad the price of the WiiU should be whatever it is going to sell at. Eight years is certainly a long time and the world has changed, you're right! - understand this though, I was born in 1983 and the world has changed a few times since then. It always has and always will. I bought a WiiU at launch and love it. However it has not sold as well as hoped, and one of those reasons is price. The WiiU has been under £200 and sold better than usual. All I'm saying is that I believe the £179.99 mark to be where most will decide to jump on board. Man, I remember when consoles were £250. Good to see the price so low now. On the other hand though; the price of games has skyrocketed over the years. You used to be able to get games for about £30 new and now they're around £50-£60 and that's not even special editions. I got my SNES for £150. I got my Wii U when it ended up about that with Mario Kart 8 - £200 (I want all digital and NSMBU would have ended up costing most of the difference). I have run out of stuff I definitely wanted to play already. The Wii U needs to be £199.99 at absolute most with a bundled game (a digital download title if it will save Nintendo a few bucks) and probably £149.99 before most people are going to seriously consider it an "impulse' purchase option imo. £100 would probably make it a proper impulse buy but it will be a while before Nintendo could even consider selling it at that price. £149.99 with one bundled digital game of Nintendo's choosing (so they can decorate the packaging with images of it) and a code that allows you to additionally download a digital copy of ANY game of your choosing (be it a big AAA game or an indie game) would sound about spot on to me. This way it's also really just the hardware costs that Nintendo has to cover upfront. It may or may not be very realistic based on the costs of producing the Wii U console but that's the price I think it needs to be. As I recall, I got my SNES, N64, GC and Wii for around the £150 mark each and I don't feel comfortable spending more on any current Nintendo console to be honest and certainly not when they are underpowered, under-featured and under-supported compared to the competition. The real problem here is that I think Nintendo needed to have all this sorted well over a year ago because by now I expect it's probably too late to actually save the Wii U at this point.